Indian fashion scenario is known for its cultural heritage, elegance, and colourfulness. It brings out the subtlety and beauty which has sustained through innumerable decades. For not only is it comfortable, sophisticated and aesthetically beautiful but it has also evolved over time. Making a sweeping surge into today’s global scenario, the fashion industry in India is an amalgamation of dynamic conventions. From ethnic to western, salwar kameez to high-street fashion; fashion industry in India has definitely gone through a milieu of transformations. Needless to say, the fashion industry in India has been advantaged by thousands of years of rich tradition behind it and the knowledge as the vogue of sewn garments have existed in India ever since ancient history. The textile industry in India is among the largest segment of India’s capital goods sector. As per the report published by Indian Brand Equity Foundation (IBEF), India is the second largest exporter of textiles in the world. Furthermore, favorable demographics and rising income levels are believed to be the key growth drivers of the Indian textile and apparel sector in the coming years. The fashion industry in India covers a wide range of clothing from ornate clothes designed for wedding ceremonies to casual wear. The Indian traditional techniques of embroidery like Crewel, Chikhan, and Zardosi have paved their way into the international forefront of fashion runway portraying Indo-western clothing in a fusion of the best of East and West. 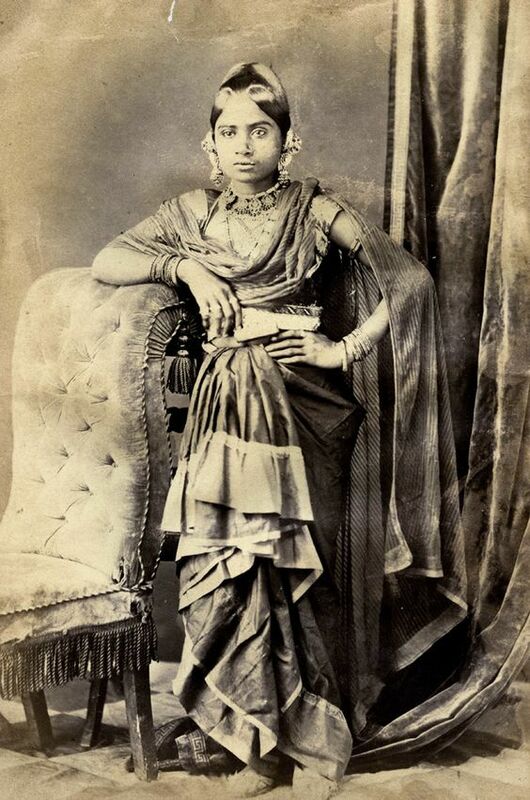 Apart from these, India also represents a unique blend of sarees woven in silk and cotton like Kanjivaram, Mysore, Pochampalli, Jamdani, Blucher, Pithani, Benarasi, Bandhini, Sambhalpuri etc. Ancient Civilization: Dating back to the Mohenjo Daro civilization, the earliest preliminary version was found in the statue of Mother Goddess wearing a piece of cloth around her waist. Her torso was covered with jewels. Apart from this era, the ancient Vedic literature states the existence of Phataka made from leaves and barks. The 11th Century B.C Rig Veda states the existence of Paridhan (dyed) and Pesas (embroidered) garments and traces the development of refined fabricating techniques of apparels during the Vedic age. By the 2nd century AD, the muslin clothes produced in the southern part of India were merchandised to the Roman Emperors. 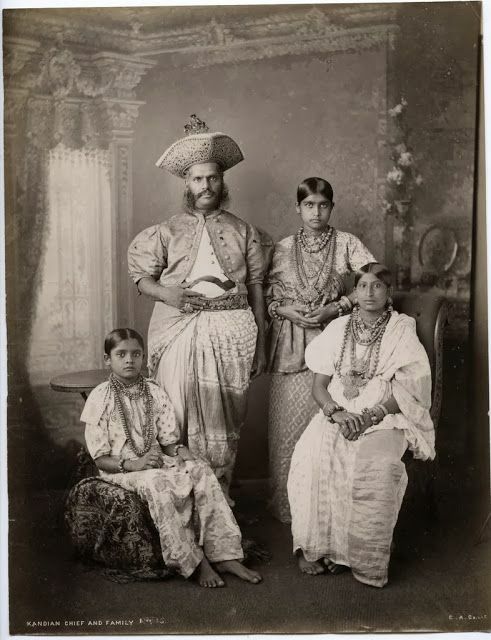 The evolution of stitched and tailored garment in India is traced even before the beginning of the 10th Century AD which was further proposed around the 15th century by the Muslim empires of India. Impact of British Raj: The advent of British Raj in India encouraged the British industrial cloth in India. With this, the development of Khadi, a hand woven material was boosted in India in order to lessen the dependency of Indians on the British Industrial goods. The 1920s: 1920s is also known as the ‘Roaring Twenties’ in the fashion parlances. This decade is also termed as the ‘Charleston Era’ in the Fashion world. In this era, women discarded restricted fashion and switched over to comfortable clothes likes skirts and trousers. As part of this trend, Eton cropped hairstyle came into vogue. 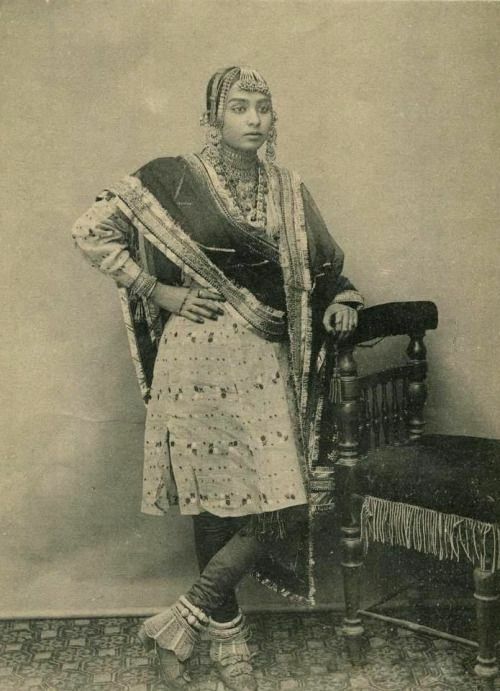 Cholis in India started appearing like the shimmering glitz and flash of Charleston dresses. These dresses were long sleeved and were made using lace, satin, cotton or silk. 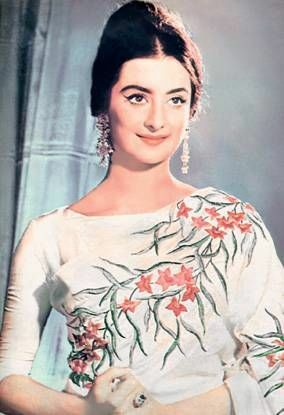 Sarees with long sleeve and mid-sleeve blouse also became quite popular around this time. Post Wall Street Crash or the 1930s: The Wall Street Crash also known as Black Tuesday was the most devastating stock market crash in the history of the United States. The Post Wall Street Crash is the era of the 1930s. This era marked the emergence of the Bonnie and Clyde (Bonnie Elizabeth Parker and Clyde Chestnut Barrow, American Criminals) look in the fashion world. This particular look signified a daring and flamboyant attitude. 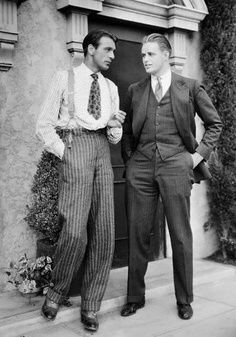 This look became quite popular in the US, India and across the world where Hemlines descended to mid-calves and long collars, two-piece suits, and pinched waists dominated the fashion scene. The 1980s to 1990s: This era was characterized by expansion of Fashion schools in India which was tagged by an outbreak alteration to Fashion in Indian clothing. It also marked the entrance of women in the workforce at a huge pace. The 80s brought the advent of Disco with an introduction to some shimmery and glittery costumes, denim and leather biker jackets, and chiffon sarees in varied colors with a fusion of Indian and western clothing styles. The 1980s also marked the active participation of women in the Indian Fashion Industry and altering Indian attitudes towards multiculturalism. The 90s marked the arrival of full-sleeve salwar kameez, floral dresses, long skirts, denim, shades, and dungarees. The decades following the 90s are touted to be the era when Indians adopted more westernized concept in the fashion making bold and stylish choices. The era of Brands: The market for branded clothes is emerging in India. An ever-increasing number of people are getting inclined towards branded garments as they provide quality affirmation. Liberty shirts were the main organization to offer shirts under its brand name in India amid 1950’s. Since then, numerous national and global brands have built up themselves in Indian fashion industry. Allen Solly, Van Heusen, Louis Philipe, Charagh Din, Raymonds, Arrow, and so on are some driving national brands today. The branded attire showcases a growth as a result of growing demand for denim. Many global brands entered the denim business in India as Levi Lee, Seven Jeans, Pepe Jeans, and so forth. Branded attires mark a significant contribution to the evolution of Indian fashion industry. Growing trend of Fusion: The advent of fusion wear has revolutionized the Indian fashion scenario in many ways. The blend of contemporary, vintage and indo-western has become tremendously popular in last couple of years. 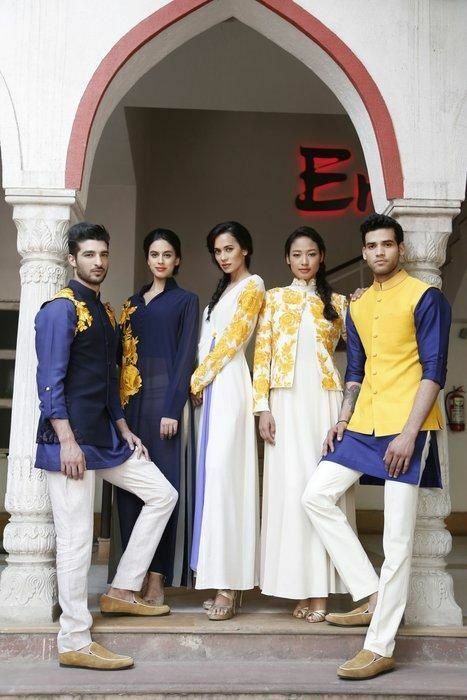 Fusion wear celebrates the beauty of both the world and the Indian fashion industry. It has evolved to such an extent that top-notch fashion brands contain the same element in their collection. The fusion wear is gaining enormous popularity with the introduction of the long maxi with collars, hanky hems, cold shoulder maxi, crop-tops, heavy duty capes, and tunics. While, kurtas, lehengas, indo-western tops and spaghetti kurtas are turning lots of head. The fashion trend in India has been influenced by the foreign designers and brands who also introduced the concept of corporate dressing. The corporate style survives to date with an added element of modernity ensuing the fusion wear. India is a land of multiculturalism and the massive diversity is reflected in the variation of traditional garments and the dressing styles that differ from one state to another, which is rare to spot elsewhere in the world. It has traveled from one subculture to another since ages and the traces of Indians being stylish can be discovered right from the times of Harappa and MohenjoDaro. With the advent of globalization, numerous changes have taken place in the Indian fashion industry. According to a report by Economic Times, the Indian Fashion Industry marks a growth of USD 100 billion and at a CAGR of 8-10 percent offline, the online fashion segment is expected to grow by 15-20 percent over the next five years. The market for the fashion industry in India, especially for women, is quite lucrative in terms of scope and variety. Today, while the rapid growth of information technology popularised the corporate look, the revival of the ethnocultural look has become quite dominant leading to the popularisation of the traditional forms of art and crafts. Of late, the International fashion brands have begun to focus on the immense potential of this sector offering heaps of opportunities to the in-house fashion designers. Indian fashion industry has expanded to such an extent over time that it has now come at par with the international fashion industry and has become one of the most popular revenues generating industries of India.